The younger brother of Percy and Jimmy Heath, Albert "Tootie" Heath has long been a top hard bop-based drummer with an open mind toward more commercial styles of jazz. After moving to New York (1957), he debuted on record with John Coltrane. Heath was with J.J. Johnson's group (1958-1960) and the Jazztet (1960-1961), worked with the trios of Cedar Walton and Bobby Timmons in 1961, and recorded many records as a sideman for Riverside during that era. 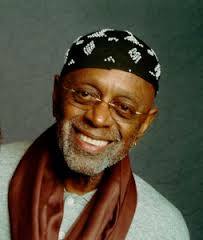 He lived in Europe in 1965-1968 (working frequently with Kenny Drew, Dexter Gordon, and backing touring Americans), and, after returning to the U.S., he played regularly with Herbie Hancock's sextet (1968-1969) and Yusef Lateef (1970-1974). After an additional year in Europe, he joined the Heath Brothers band (1975-1978) and then settled in Los Angeles, where Tootie Heath continued freelancing, recording with the Riverside Reunion Band. Tootie now calls Santa Fe his home.